Let’s start by throwing some stats at you: did you know that one in five Mercedes sold is a Mercedes-Benz C-Class? With that eye-opening number in mind, it’s fair to say our expectations were high for the Mercedes C-Class 2018. What does C-Class Mercedes mean? 2018 is an important one for the C-Class – now in its 25th year, the team have released the fourth-generation model. It started out its life as a replacement for the 190 W201 range, and since then has gone on to sell 10 million units. Though it began its life as a saloon, it’s since been rebranded several times through its compact executive car history. 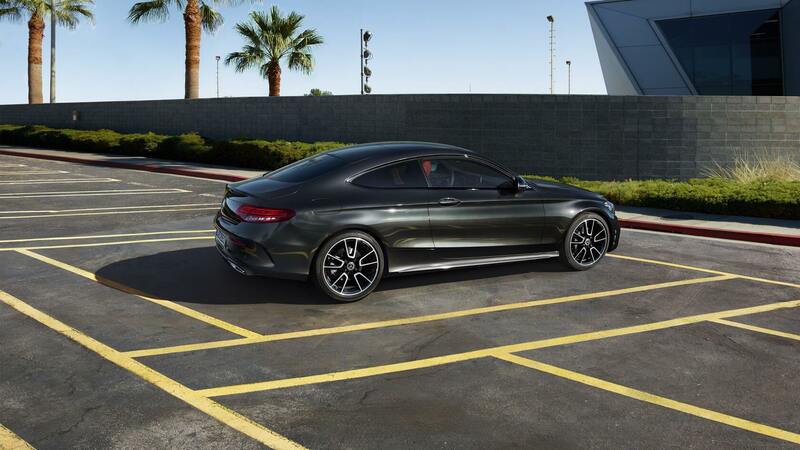 Today, we see the C-Class coupé. So what can we expect from the newest C-Class? Change is certainly the operative word for the latest model – in fact, marketing material states that 6,500 components have changed. This is applied across the board from the engines to the customisable digital dials, the latter of which we’ve seen previously in the E-Class. What’s the difference between the C-Class and E-Class Mercedes? 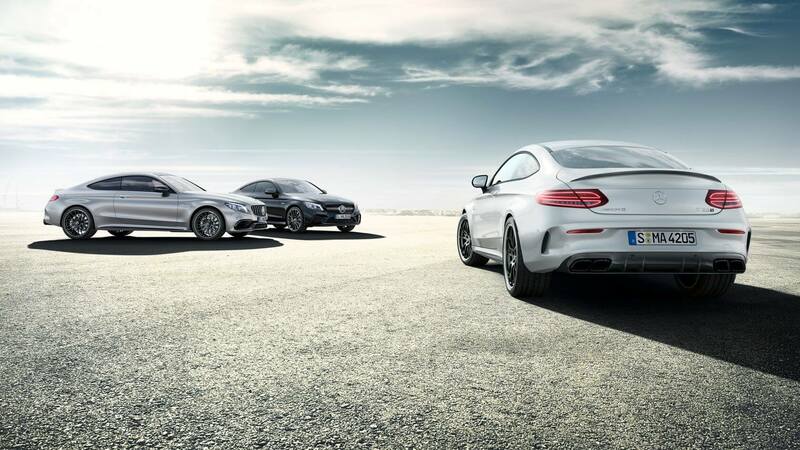 The newest model might stir up some confusion between the E-Class and the C-Class. Historically the E-Class was always a midsize saloon while the C-Class was a compact car, but this year we see a new aluminium and steel hybrid rear-wheel drive platform that’s also going to be used on bigger models. That said, to look at, you might be forgiven for not immediately noticing all of the abovementioned changes. Its dimensions come in at 4,686mm in length, 1,442mm in height and 1,810 mm in width. But it’s what’s inside that counts, and the clever folks at Mercedes-Benz have managed to come up with innovative, economical upgrades and an on-board infotainment system that is pure class. In wake of the increasing concerns over diesel fuel, Mercedes-Benz have produced all new engines to keep our consciences clear. At the entry-level, we start out with the C200 1.5 litre four-cylinder engine. This comes with a built-in electric motor for better fuel economy, giving you a total of 182BHP and 46MPG fuel economy. Even for the entry-level models, the C-Class looks very promising so far. 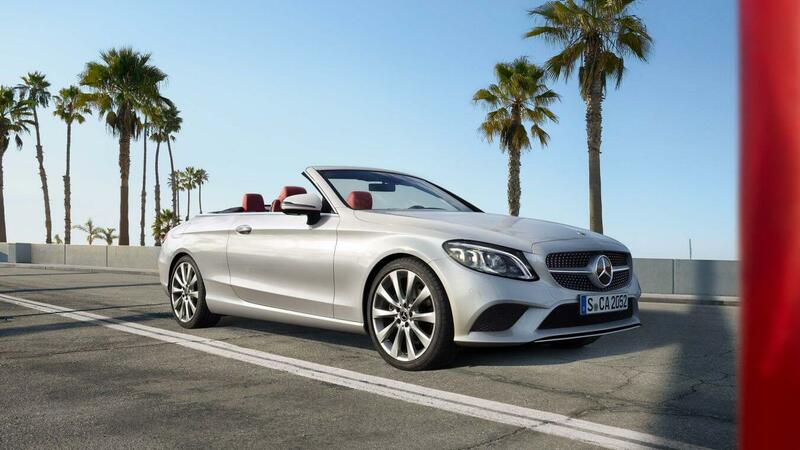 We’re spoilt for choice with the fourth-generation: there’s the Mercedes C-Class coupé, the estate, saloon and cabriolet styles. In terms of trims, we start with the entry S-level, before moving up to the SE, and of course, the famous Mercedes C-Class Sport and the AMG line. 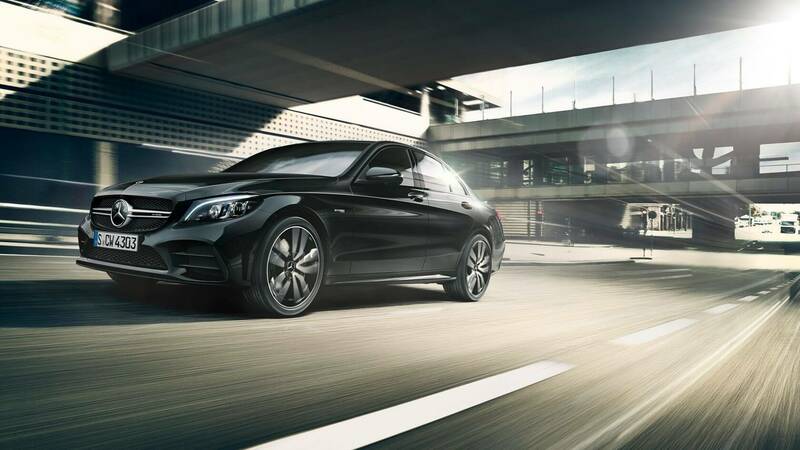 Moving up through the models, we have the C43 4Matic 4dr 9G-tronic (all models come with a nine-speed automatic gearbox), which will get you from 0 to 62 in 4.7 seconds with a BHP of 390. 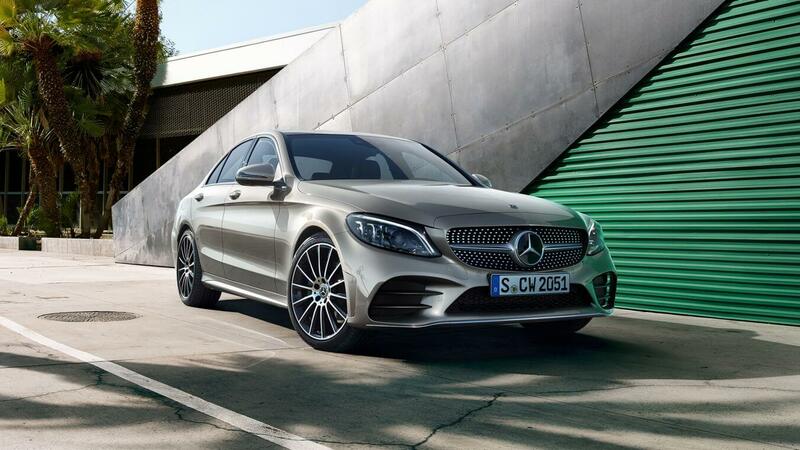 Even faster is a C63, which will get you there in 4 seconds, but can only promise 28.5 MPG. With this in mind, how much is a Mercedes Benz C-Class? It starts at £28,695 going all the way up to more than £76,000, so you’d better expect class for your money. It doesn’t let you down. We have to give props to the C-Class for its quietness, particularly in the entry-level petrol models. 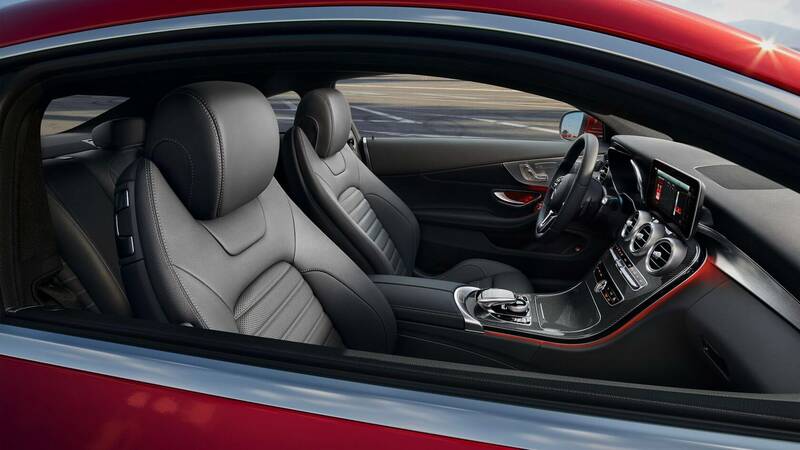 Comfort is its main goal, with the rear-wheel-drive providing a confident grip on the road. Of course, that’s not to say that it’s without its problems: with nine gears to choose from, the automatic gearbox doesn’t always get it right, so sometimes it is better to choose manually through the steering wheel paddles. The new interior is a toy box of innovative features, from an exciting colour scheme to a widescreen media display, a new steering wheel and digital dials. 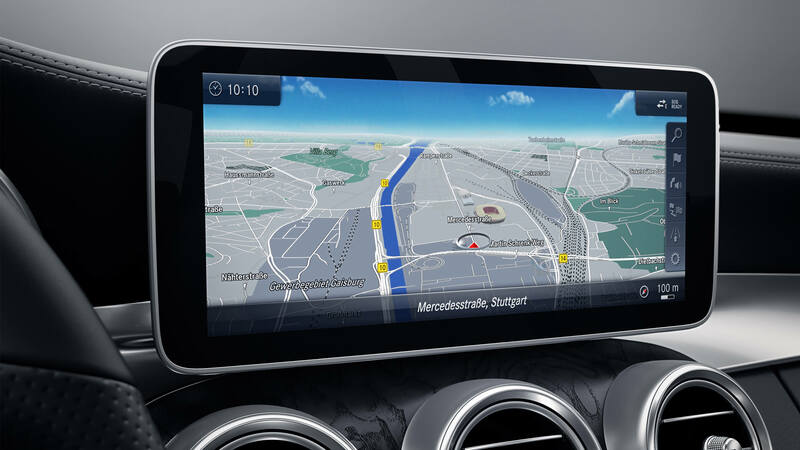 The team have taken the best of the A-Class and the S-Class, which might look a little more daunting than previously, but the touchpads are actually very easy to use – you won’t be distracted from the road. It’s extremely comfortable and it’s every bit the executive vehicle, with room for five passengers comfortably and up to 455 litres of boot space. Where is the new Mercedes C-Class made? With plants in Brazil, South Africa and the US, there might just be a little bit of design inspiration from all over the world with the C-Class. We’re just pleased to say it’s readily available in the UK, and we’d definitely walk away with one today. For an economical vehicle that pulls with impressive force, but also guarantees a smooth commute, we can’t recommend the fourth generation enough.